“We’re Black, We’re Queer, We’re Here” brings the intersectionality of race and sexuality to the forefront with much energy, passion and, of course, humor and entertainment. 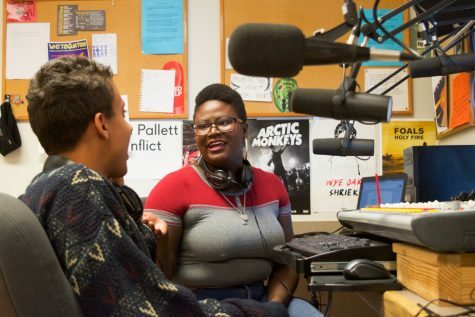 The radio show, which airs on KWCW Sundays from 3:00 p.m. to 4:00 p.m., is the creation of Whitman students Georgette Lugalia and Isiah Cocroft. 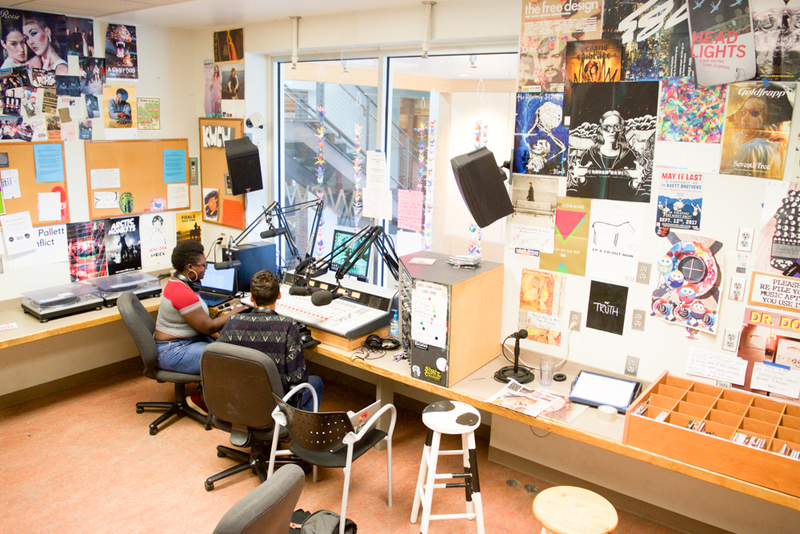 On air, they discuss a wide variety of topics ranging from dating to friendships to insecurities. They also incorporate music into the show. 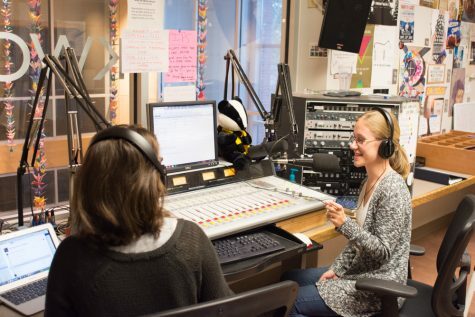 The idea for the show came when Cocroft and Lugalia worked at the same job over the summer and noticed several things: first, according to Cocroft, many people liked to listen in on their conversations (i.e., they are interesting people to listen to! ), and second, they experienced microaggressions on a daily basis. Most striking to Lugalia was their shared experience of being black and queer. From there, they decided to start a show that listeners could hopefully relate to as well. It may speak most directly to people of color and queer people, but anyone can find enjoyment and insight in listening. 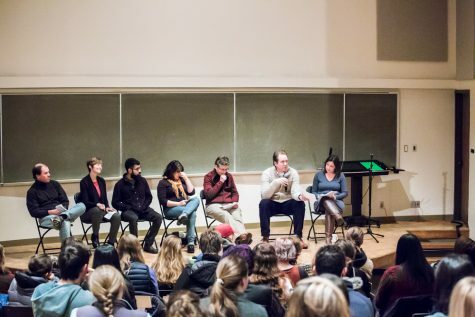 Aside from the show being a mode of expression and a way to share experiences, it also speaks to often-discussed topics at Whitman, such as microaggressions and issues of diversity. Cocroft noted the frequency of discussing these topics, and also the fact that these problems still exist. Lugalia agreed and added her personal take on it. It’s not all serious discussion, as Cocroft noted—the two love to have fun with the show. Their last episode, “Tinder, Grindr and other things that make me lose faith in the human race” consisted of them reading out failed tinder messages. 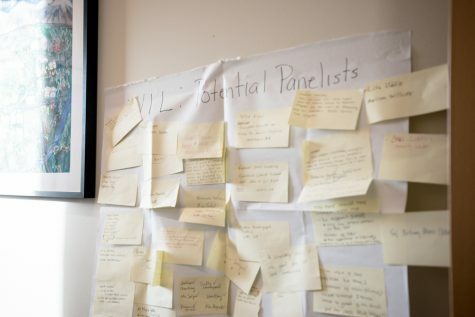 “We … talked about hookup culture along with that and microagressions we face through hookup culture, and just how that’s something we have to deal with on a day-to-day basis, and how that makes us feel and how we interact with other people that are not people of color because of it,” Lugalia said. 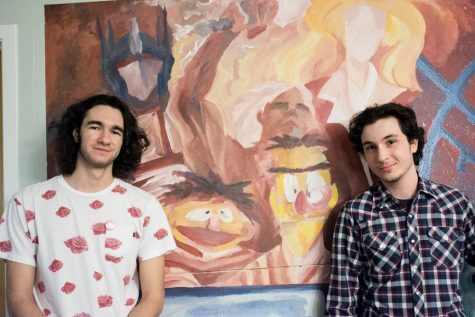 Neither Lugalia nor Cocroft had any specific messages they want to convey through the show, but they do have hopes for what it might do for the audience. 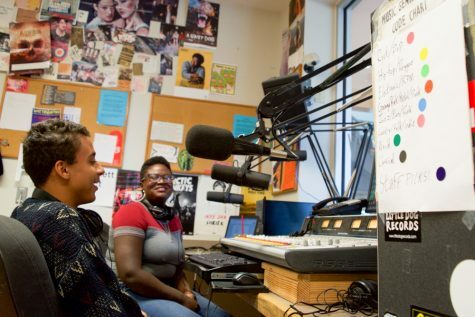 With that in mind, “We’re Black, We’re Queer, We’re Here” is a great, comfortable place to find two people laughing and sharing their experiences.